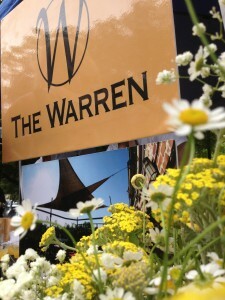 1) I know you are a Members’ Club, can non-Members host events at The Warren? – While Members enjoy many benefits, including no rental fee for hosting events, non-Members may host events by paying a rental fee. The fee varies depending on the time, day and size of your event. For more information, please see our Services, Fees, Design & Equipment Menu 2016. 2) Are there any times when a non-Member doesn’t have to pay a rental fee to host an event? – Yes, non-Members may host events during non-Members hours (Mon – Sat until 5 pm and Sun – Tues evenings) for no rental fee provided they meet a minimum required spending on food & beverage. For more details please visit our Event Planning Home Page. 3) I am inviting children under 21 to my rehearsal dinner, is that ok? – Yes, you are welcome to have guests under 21 as long as we know in advance and they leave The Warren by 10 pm. 4) We give our 19 year old children wine with dinner, and our event is private, will they be able to drink wine at The Warren? – No, our liquor license requires that we follow Georgia State laws which prohibit us from serving anyone under 21 years of age. 5) Our friend is a dj, can we have him play at our event? – Yes, you are welcome to have your own dj play at any exclusive event, but your dj will need to bring their own speakers and equipment. Also, because we have found that we will have to have some level of involvement in getting things ready for your dj and their set up, we charge you a $200 convenience fee. 6) I want to bring in flowers, centerpieces and other decor. How does that work? 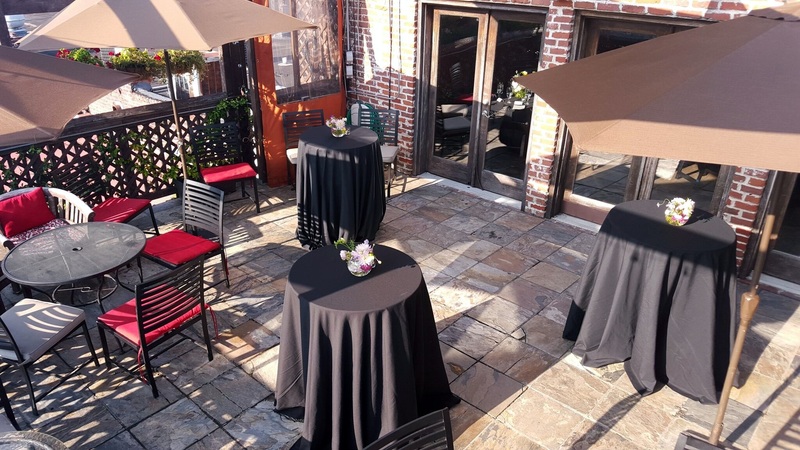 – While The Warren is designed to be beautiful without additional decor, we welcome your personal touches to make your event just the way you want it. 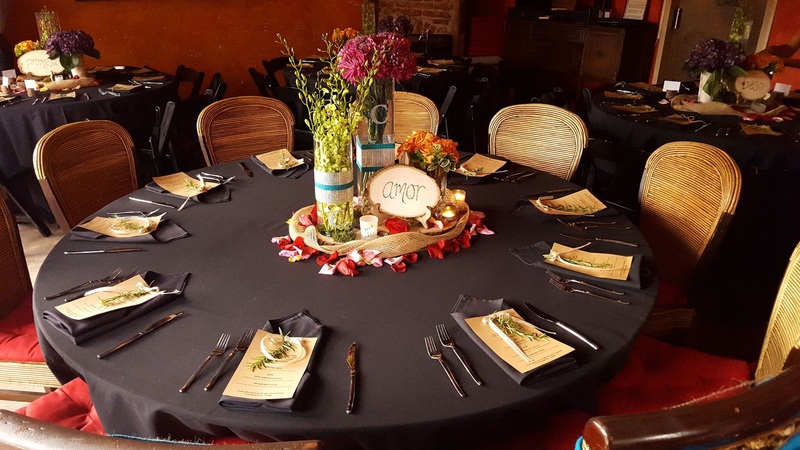 We are happy to receive your non-perishable decor 1 day before your event and we will be glad to set it up for you so you don’t have to stress or arrive early. Set up of most centerpieces and some additional decor is included in your Setup Fee. We charge $50/ hour for extensive decor setup, including hanging lights, lanterns, etc. The only thing we ask is that you refrain from using artificial flowers, sparklers or any items with an open flame (candles in glass are fine), glitter, confetti, and live animals, including turtles or fish. 7) Can I have my flower arrangements and cake dropped off at the Warren before my event? – Yes, please talk to us about a good time to have your vendors deliver your perishable decor and cakes the day of your event. We do not have room to store these items so we cannot receive them any soon than the day of your event. 8) Are the centerpieces, flowers or candles in any of the photos included? – Your Setup Fee includes some room arrangement, use of all available AV equipment, black linens, all glassware, service ware, silverware and plate ware, 5 60” round tables, 40 black padded chairs, 24 dining room chairs and votive candles on all tables and around the room. You are welcome to bring in additional candles, flowers and other decor or purchase it through us or one of our Recommended Vendors. 9) I see where black linens are included, can I have white linens? – Yes, we will happily provide white linens instead of black for a one-time convenience fee of $30. 10) I want to bring in my own cake, is there a fee for that? – You are welcome to bring your pwn cake or cupcakes. We have a service fee of $.50/guest with a minimum of $20. The fee includes cutting, serving, plates, forks and napkins. 11) My event ends at 10 pm. May my guests stay after my party? 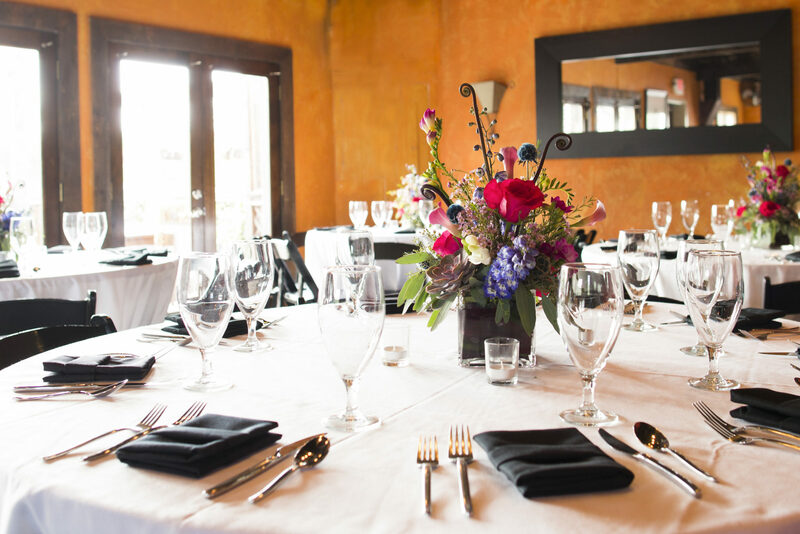 – Yes, your guests are welcome to stay after your event and enjoy The Warren. 12) Will my event at The Warren be exclusive to me and my guests only? 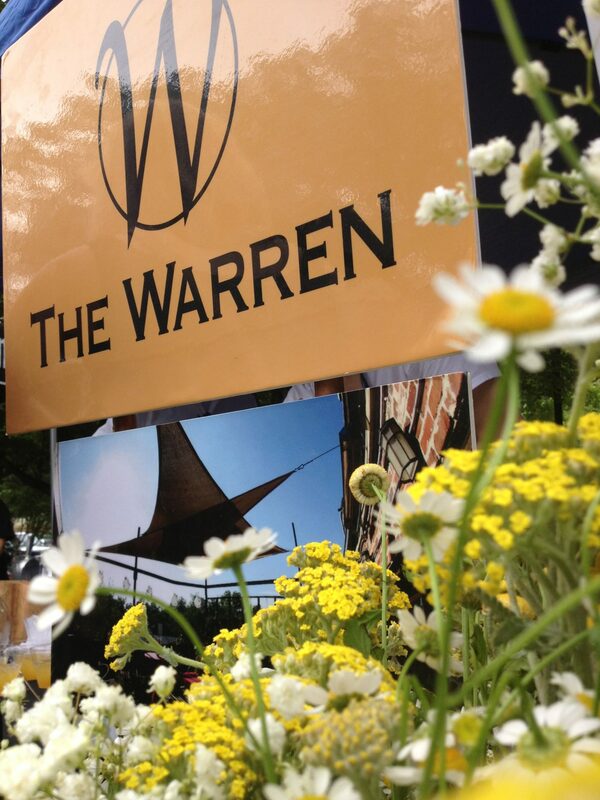 – Exclusive events are absolutely an option at The Warren but require a minimum expenditure for food and beverage. Hosting a non-exclusive party is also an option and works out just fine for most party hosts. Each additional hour beyond 10 pm on Friday and Saturday nights adds $1000 to the minimum required expenditure. Service Fee and sales tax on food and beverage are not included in the minimums.